Pentax has long been the bridesmaid of the DSLR market. As professionals almost exclusively opt for Nikon and Canon bodies to get access to top-end lenses and accessories, that apathy towards Pentax trickles down to consumers. That hasn't stopped Pentax putting out some cracking consumer DSLRs, though. The Pentax K-x has long held a place in our hearts for its excellent image quality and top-notch kit lens, and the Pentax K-r is effectively its bigger brother. Like the K-x, the K-r sensor is APS-C at 12.4 megapixels, and, also like the K-x, boasts a 720p Motion-JPEG video mode. It also has the same image processor as the K-x: the Pentax PRIME II. There are improvements and changes elsewhere. The screen on the smaller, cheaper K-x has long felt a little tight at 2.7in; the Pentax K-r wisely upgrades to an industry-standard 3-inch LCD, and the resolution has increased sharply as well. 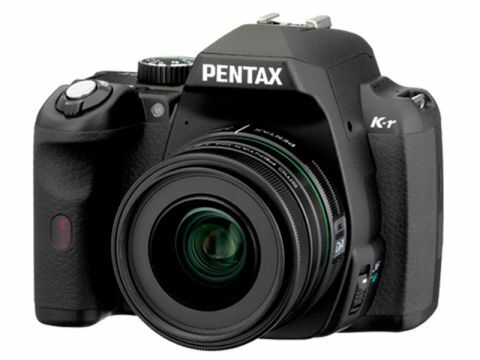 The Pentax K-r also takes a unique approach to the K-x's double-edged sword of only accepting AA batteries, allowing you to fit either the included rechargeable Lithium-ion battery, or AAs depending on what you have to hand. Pentax is playing a dangerous game, though. The K-x remains hugely desirable at just £400, while the circling sharks of Canon and Nikon's mid-range DSLRs are never far away. Can Pentax convince us it's worth the cash?